Charlotte Marshall joined Iron Mountain in November 2013 as Managing Director for Iron Mountain UK, Ireland and Norway. Prior to this appointment she had a successful career at Rentokil Initial Facilities, where she was Managing Director of the Initial Facilities, Healthcare Group, a role in which she was responsible for leading a 3000-strong team to deliver Integrated Facilities Management solutions to customers across Europe, including 35 NHS Trusts in the UK. 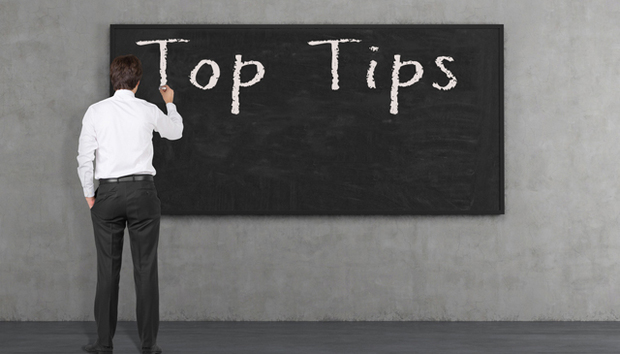 Charlotte shares her top tips for more responsible information management. You’d think that in today’s customer-focused economy most companies would try to avoid deliberately ignoring customer concerns. Yet a new study from Iron Mountain* reveals that over half (57%) of UK firms do exactly that with customer communications that arrive on paper. Many organisations seem happy to wait until their customer grows sufficiently frustrated to pick up the phone or send an email to ask why nothing has happened. So what can organisations do to tackle paper enquiries in an increasingly digital world? Here are my top tips for ensuring a gradual evolution to more responsible information management. In our always-on, multi-channel world, people increasingly expect any company they deal with to instantly pull up a single, comprehensive view of their entire history with the firm. Yet our study found only a third (34%) of firms believe they have the processes in place to achieve this. The end result is that consumers find themselves having to repeat their enquiry, request or complaint to several different people. Companies cannot survive in the new customer-centric landscape without a seamless customer relationship management system that can integrate and instantly update phone, email, social, mobile and other interactions. And paper records should not be left out of this process. The majority (92%) of consumers in the UK say they now deal with so many organisations, both offline and online, that they no longer know who holds what information about them. Yet the upcoming and widely-publicised ‘right to be forgotten’ at the heart of the EU’s proposed data and privacy protection reforms will enable consumers to ask companies that possess data about them to remove it. Failure to respect this right could result in a fine of up to 2% of a business’ global turnover, as well as damage to both their brand reputation and customer loyalty. Firms must see this announcement as a wake-up call and use the time they now have to review and tighten their information management policies to make sure they are in a position to comply fully with the proposed changes to legislation if, or more likely now when, it comes to pass. I recommend companies consider embracing a paper-light approach, rather than just doing away with paper in one fell swoop. In a paper-light world, new, inbound or important customer documents are scanned and the relevant data extracted, validated and entered into the customer service process. Older or less essential documents are indexed and archived for easy retrieval when or if required. Identify and collect the ‘inactive’ paper – those documents that you no longer need or are unlikely to access. Now get them out of the office into a secure environment where the paper can be managed against defined retention periods but still accessed easily if required. The time has now come for organisations to hold themselves to account for the way they handle and manage information. Organisations of all sizes need to demonstrate a formal commitment to safeguarding information assets including confidential customer, employee and business data. Achieving a culture of information responsibility requires training and support. Most of all it requires the backing of senior-level executives. The drive and direction for responsible information handling must come from the very top of the business and be backed up by example. Those in charge should set an example of best practice in information handling and accountability which will set the tone for the whole business. Introducing a robust, centralised information management policy that can accommodate information in all its formats and structures, businesses must accept that this is not just something to put on the shoulders of the IT department. Whether or not your plan succeeds will depend on your workforce. Managing information is about culture. People produce most of your information, and it’s usually people who are going to lose or misuse it. It is essential that every employee is on board. A failure to respect and integrate paper-based customer service requests will probably result in some customers taking their business elsewhere. Furthermore, it means that all the valuable insight and intelligence contained within these communications would be lost forever. Can your business really afford to take the risk?